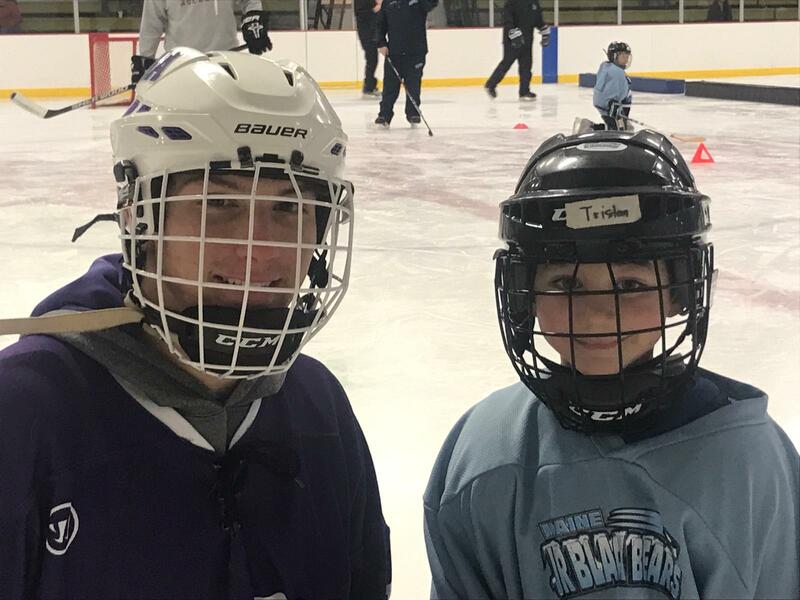 Each 8-week session includes both Learn-To-Play-Hockey and Learn-To-Skate groups in order to provide more appropriate skill progression training for all skaters as well as allow for new entrant USA Hockey certified coaches and student coaches offer many varied activities to help develop balance, and beginning skating skills. Participants are required to have hockey skates, helmet, (bicycle helmets are acceptable) and mittens or gloves. Elbow and knee pads are recommended. Practices are held at the Alfond Arena, University of Maine, Orono and Sawyer Arena, Bangor. 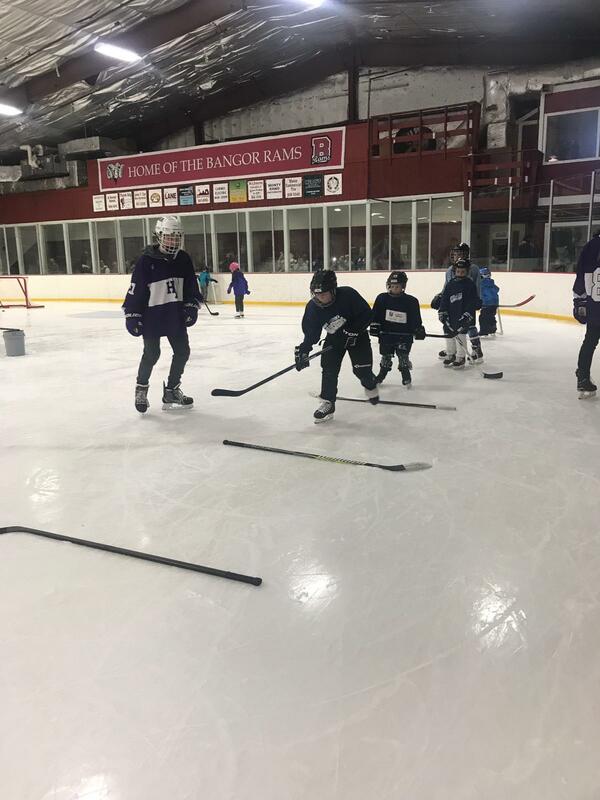 USA Hockey certified coaches and student coaches focus on having fun learning the basic skills of hockey; skating forward and backward, balance, starts/stops, basic shooting and basic stick handling. 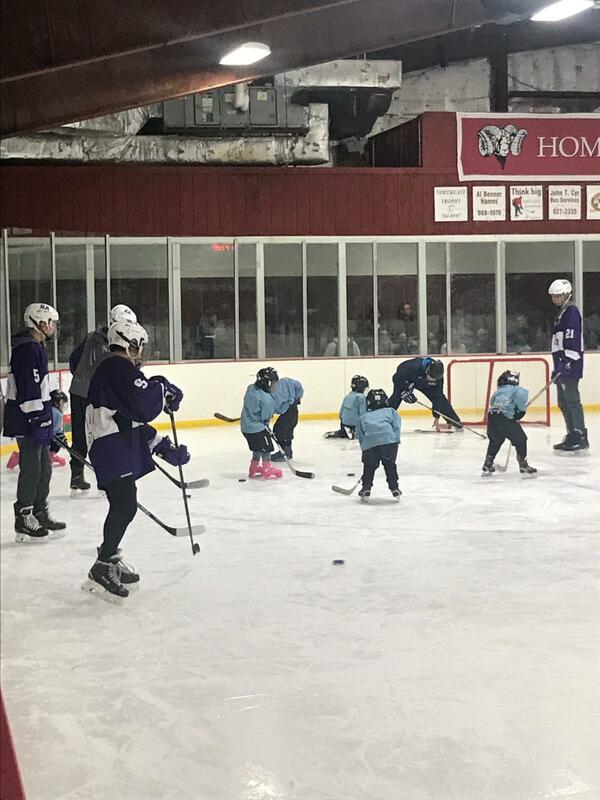 We will also have coaches available to work with those children that need additional skating skills. Equipment packages are available to rent as a package for the season for $10. We collect a $50 deposit and then refund $40 once the rental gear is returned. Package includes hockey helmets with cages, all the pads, and hockey shorts. A limited number of hockey gloves, gear bags and sticks are available as well. Click here for rental equipment details. Fall Learn to Skate and Play Nov-Dec 8 weeks 1 hour/week $40 Only paid once per year, see above. Winter Learn to Skate and Play Jan-Feb 8 weeks 1 hour/week $40 Only paid once per year, see above. This level introduces teams and competitive play while focusing on beginner skill development in a fun atmosphere. There is one practice during the week and one game on weekends. This is a step up from the mini-mites. Players continue to develop individual and team skills in a half-ice format appropriate for their size. Goalie training begins. 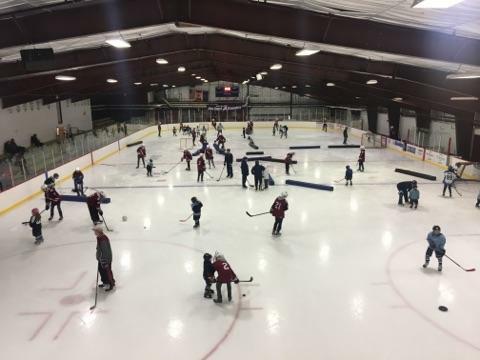 Players will have more practices and games than the mini-mites. All games are cross-ice format for the season, no referees or scorekeepers.